Collaborations – From Hearts 2 Hands Inc.
From Hearts 2 Hands Inc.
Update: The Buckets 4 Buses Fundraiser raised $2,000! How did it work? Simply by pledging a dollar amount per NBA’s Warriors’ basketball game point at the March 8 game! For what? 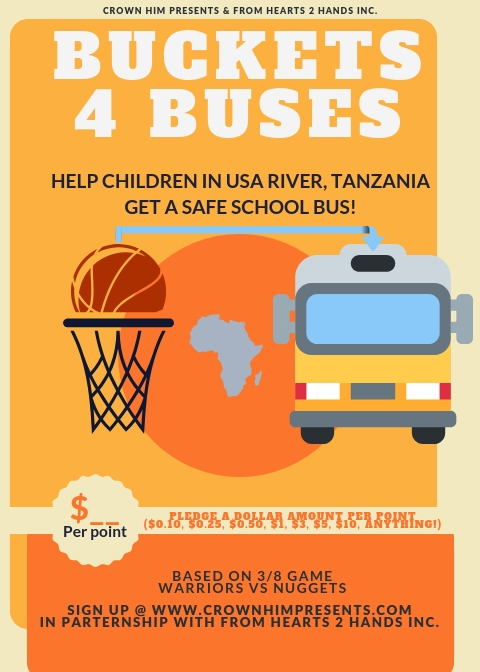 From Hearts 2 Hands Inc. will use the fundraised money to purchase a bus for kids in Tanzania. 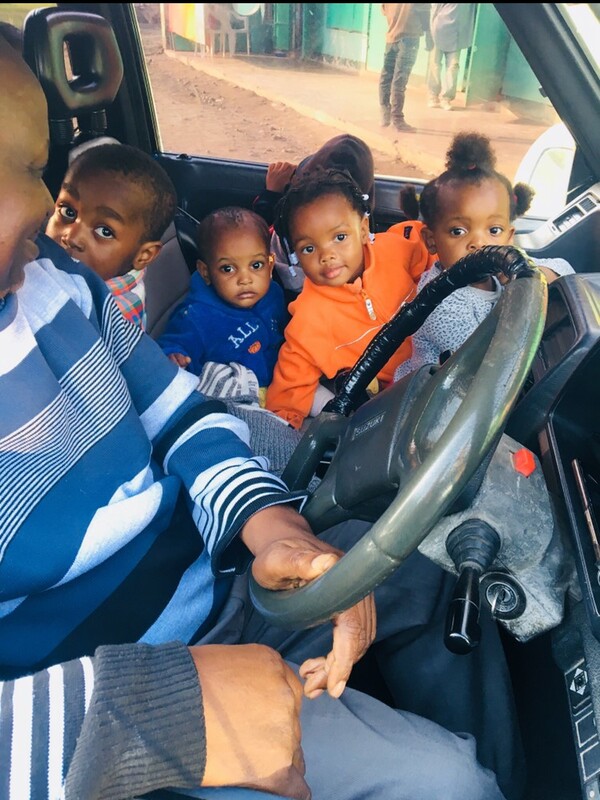 The picture below is an actual image of the kids at the Vipaji Nursery School and Daycare in Usa River, Tanzania, being transferred to school in a five-seater vehicle. On an average day, the school transports 30 kids. You can imagine how difficult that is to transport 30 kids in a five seater on a daily basis. With your help, we can make their journey much safer and easier. Still want to help? Head to our donation page to help us reach even closer to our goal! Copyright © 2019 From Hearts 2 Hands Inc.